A-HOTEL.com - Luxury and cheap accommodation in Peskovatka, Russia. Prices and hotel, apartment booking in Peskovatka and surrounding. Set in Yërzovka, Hotel na Promishlenoy provides free WiFi. The property features a 24-hour front desk. Featuring a bar, Orloffski offers accommodation in Volgograd, 16 km from Motherland Monument. The property is set 18 km from Volgograd Arena. Located in Volgograd, 16 km from Motherland Monument, Motel Y Saiyan provides air-conditioned rooms with free WiFi. The property is around 17 km from Volgograd Arena, 20 km from River Port and 15 km from Mamayev Kurgan. Hotel Start is situated in the green area of Volgograd, 100 metres from the banks of the Volga River. The hotel offers free on-site private parking and rooms with balconies. Домик Par project offers accommodation in Volgograd, 14 km from Volgograd Arena and 16 km from Motherland Monument. This property is 18 km from River Port. This hotel is located in Volzhskiy historic city centre, a 10-minute drive from Volzhskiy Train Station. Guests are offered rooms with air conditioning, free Wi-Fi is available on site. Hotel Karo provides beachfront accommodation in Volzhskiy. Located around 3. Located in Volzhskiy, Аrt-Volzhskiy has a garden and a shared lounge. Featuring a 24-hour front desk, this property also provides guests with a restaurant. Located on the Akhtuba Riverbank in Volzhsky city, this hotel features a sauna. The Akhtuba River beach is within a 5-minute walk of the property. Offering a terrace and sauna, Hotel Villa is set in Volzhskiy, 21 km from Volgograd. Free WiFi is provided and free private parking is available on site. Featuring free WiFi and a garden, Гостиничный комплекс "Плёс" is located in Volzhskiy, 2.2 km from Volzhskiy Bus Station. Offering free WiFi, Hotel Milot is situated in Volzhskiy, within 2.1 km of Volzhskiy Bus Station. 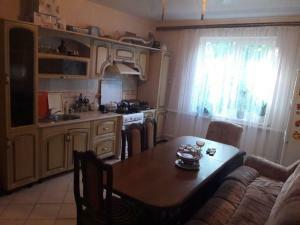 Offering free WiFi and garden views, Гостевой домик is an accommodation situated in Kuz'michi. This country house features a garden as well as a terrace. Respect Hotel is located in Volzhskiy, 2.6 km from Volzhskiy Bus Station.